Which area of Cal Poly are you associated with? 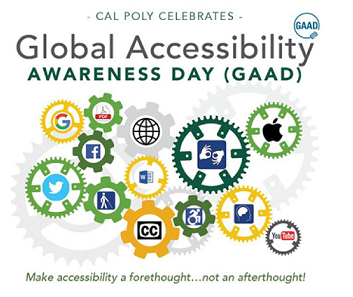 How did you learn about GAAD 2018? What was the most memorable moment from the GAAD keynote address? How likely are you to recommend to your friends that they attend a GAAD keynote address? How likely are you to apply your GAAD learning experience in everyday life? The GAAD planning team would especially value your feedback for planning next year's GAAD events. Optional - If you've any additional suggestions or comments, please enter them below.